Beginner Questions: What is the purpose of a trainer kite? A trainer kite is a 2-line foil kite (otherwise known as a ram-air foil) that is usally 1-3 square meters in size. Using a trainer kite is the first step in learning to kiteboard and teaches the student about the wind and the basics of kite flying. The trainer teaches how to steer properly and safely as well as how the kite reacts to movements and the wind. Having good kite skills with the trainer will transfer over to the larger kites for quicker learning in lessons. Domestic Shipping: How long will it take to get my order? We try to get any order out within 24 hours of the order. If this will not be possible because an item is out of stock or some other complication, we will notify you by email or phone. Our kiteboarding.com store and shipping center is located in Corpus Christi, TX. The time it takes to get to you all depends on how far away you are. 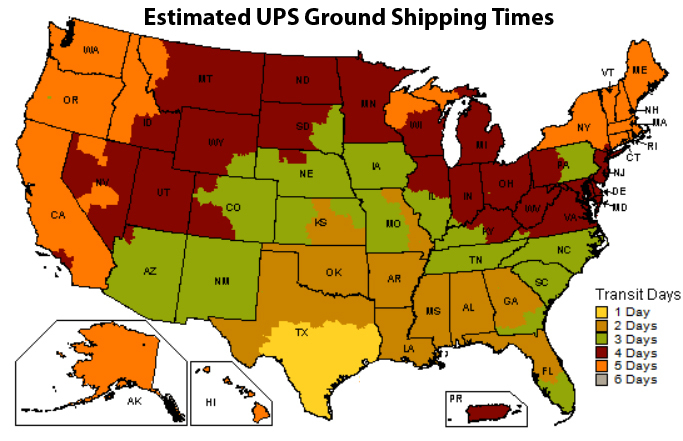 Within the Continental US, the max ship time is 5 buisness days with UPS ground. Orders to Alaska and Hawaii will be shipped via US Postal Service and take around 3 days. International Shipping: Can you ship a kiteboard? The table below is the maximum length allowed for shipping with US Postal. If we can ship a kiteboard with US Postal, you are looking at paying around $60.00. If it is not possible to ship with US Postal, we will ship with UPS which will cost around $175.00. Country US Postal max shipping dimensions board shippable with U.S. Postal Service? International Shipping: How long will it take? Normal ship time from our shop to you is around 10 to 15 days for most international orders. It may take up to an extra week to process your order due to the extra complications with international orders. International Shipping: What documents do I need to complete for international shipping? Some orders may require an additional form or forms to be filled out. This is mostly for international orders, or orders over $1000 where the shipping and billing address do not match. If we require further information we will notify you by email, and nothing will be charged to your credit card until these forms are filled out and all of the information is verified. This form is required before a charge will take place and your items are shipped out. We understand this can be a little bit of a pain but this greatly helps to cut down on the amount of internet fraud going on and is designed to protect the consumer and the seller. Order Info: Can you accept payment if my Billing and Shipping address are different. Yes, some orders may require an additional form or forms to be filled out. This is mostly for international orders, or orders over $1000 where the shipping and billing address do not match. If we require further information we will notify you by email, and nothing will be charged to your credit card until these forms are filled out and all of the information is verified. This form is required before a charge will take place and your items are shipped out. We understand this can be a little bit of a pain but this greatly helps to cut down on the amount of internet fraud going on and is designed to protect the consumer and the seller. Order Info: Do you offer refunds? Yes, all refunds will be charged an 6% restocking fee unless otherwise stated. Any product shipped out must be returned unused. Refund will not be given until product is recieved and inspected. Please call 361-883-1473 to notify us and recieve a Return Authorization number (RA#). Returns may not be accepted without a Return Authorization #.